Gionee A1 comes with a 5.5 inches Capacitive Touchscreen	display with a screen resolution of 1080 x 1920 pixels. Display type AMOLED. The smartphone makes use of an Octa-core (4x2.0 GHz Cortex-A53 & 4x1.0 GHz Cortex-A53), Mediatek MT6755 Helio P10 that is coupled with Mali-T860MP2 GPU,	4 GB RAM and 64 GB Storage default memory capacity. This storage can be expanded up to another Up to 256 GB	with the help of a microSD Card. For imaging, the Gionee A1 sports a 13 MP Camera with 1080p@30fps, Geo Tagging, HDR. Up front, the smartphone from Gionee makes use of a 16 MP Camera selfie camera. The connectivity aspects on board the Gionee A1 includes Wi-Fi 802.11 b/g/n, Wi-Fi Direct, hotspot, v4.0, A2DP, microUSB v2.0, USB Host, with A-GPS. Dual Sim (Nano + Nano). The Gionee A1 gets the power from a Non-removable Li-Po 4010 mAh battery. 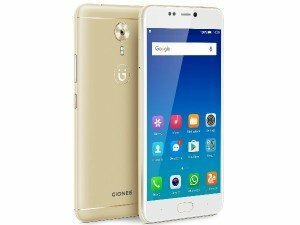 The Gionee A1 runs Android OS, v7.0 (Nougat). Gionee has now announced price cuts on two of its popular smartphones Gionee A1 Lite and A1 Plus. Both the devices have received a price cut up to Rs. 3,000. The Gionee A1 Plus features a 13MP+5MP rear camera setup that is capable to deliver an impressive depth of field effect. Gionee India is aiming to give something to the consumers and its fans this festive season. In terms of optics, the Gionee A1 Lite comes with a 20MP selfie shooter that is said to capture professional quality pictures. Gionee A1 Lite with a 20MP selfie camera is to be launched in India in the next week at Rs. 14,999.